For their fifth annual collaboration, Long Beach Playhouse and Held2gether, Improv for Life will bring an original sketch comedy show to the studio stage. The Grass-Fed, Free-Range Sketch Show will run March 1-3 in the Studio Theatre and will feature a dozen sketches touching on universal relationships, today’s political climate, outrageous characters and pop culture commentary. Last year’s Sketchily After Ever treated audiences to a planetary bromance between Saturn and Jupiter, a revelation between the horrific introduction of dairy products and a burlesque 20s singer at a 6-year-old’s birthday party, according to Held2gether. The all-new Grass-Fed, Free-Range Sketch Show promises to push the envelope at all comedic corners, offering an entertaining evening with the award-winning improv troupe and some talented newcomers. 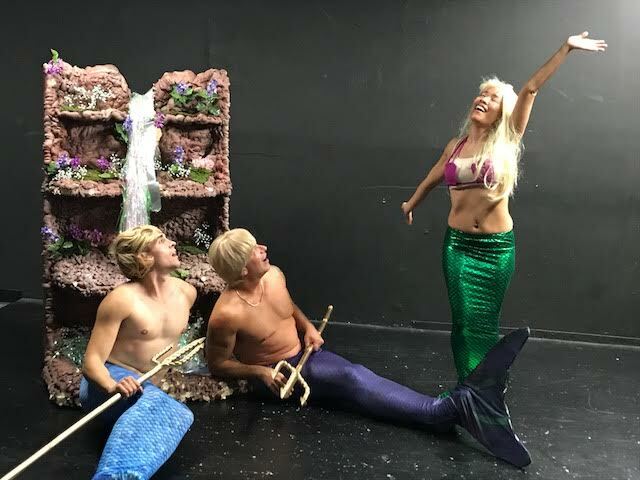 The original sketches were written by the performers, all Southern California locals. is open Wednesday – Saturday from 3:00PM to 8:00PM. All performances are at 8:00PM. Long Beach Playhouse is located at 5021 East Anaheim Street.